But silence filled the room. Their awkward sense of gloom. The feast was now begun. the task they had forgot. The task it must be done. But it was not for them. They would not dare to bend. His robes He laid aside. Before them each He knelt. 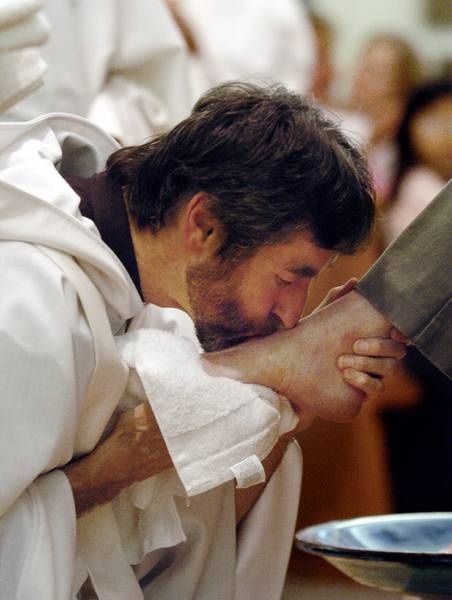 Their calloused feet were washed. The soil of souls was brought. Protest, oh yes they did. For they were each ashamed. He called them each by name. His soul, in love to seek. At table again He sat. To live His love in acts. The bread then Christ did break. His Body to us give. His Kingdom for to live. The cup as well was given. His Blood in mercy freed. of Christ our Lord in prayer. Our journeys for to cleanse. He calls us each to Him. 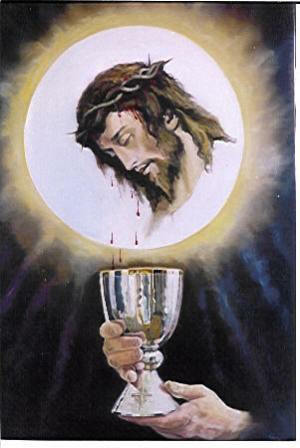 His Blood to make us one. And to His resurrection come.